Wed 3 October 7pm – Club meeting, Haven Arms: Creating Light Trails – practical. Outdoors (weather dependent) and Video/Talk. Wed 10 October, Hull Fair Trip. Meet 6:30pm outside the Parkers pub (Anlaby Road end of Walton Street) 6:30pm (always weather dependent!) – There is another option that night – a structured workshop visit as part of HIP Fest (fee charged), in addition to our own walkabout and photo shoot. We did our walk on the same night last year and makes for a great atmosphere for photographers around the fair. NB: We may want to do the Sunday ‘end of fair’ again on Sunday 14th!? Wed 17 October, 7pm. Club meeting and photo shoot at St. Augustine’s Church, Hedon. Wed 31 October – our famous ‘Dry Ice and Smoke’ night! Wed 28 November – Crime Scene Investigations. With the opportunities to get involved with HIP Fest (5 – 28 October), another Graffiti Hunt (photo walk and drive), and the York Balloon Fiesta – it makes for interesting times. And remember we always aim to make our events open to all and are mindful that photography can be an expensive hobby, so we make efforts to provide things free or at cost. The free, fun and friendly photography club. Open to all regardless of kit or ability. Attendance not restricted in any way. You don’t have to be a ‘member’ to enjoy photography. For our meeting on Wednesday 13 June we are having a Macro night and we ask you to bring in small objects that would make interesting subjects to photograph. Macro photography – getting in close to your subject and creating larger-than-life images – is great fun and you don’t necessarily need lots of fancy equipment. The genre of close-up photography opens up a fascinating world that concentrates on the miniature and reveals details that are normally overlooked. For our meeting on Wednesday 13 June we are having a Macro night and we ask you to bring in small objects that would make interesting subjects to photograph. You don’t have to look far for interesting objects – have a look around your kitchen or office desk for example for everyday objects that look amazing when studied up close or at higher magnification. As well as a practical session, we’re hoping to widen our knowledge, skills and expertise about macro photography, by looking at ‘focus stacking’. With a little bit of instruction we hope you will be able to see a real improvement in your resulting macro images. Focus stacking is a digital image processing technique which combines multiple images taken at different focus distances to give a resulting image with a greater depth of field (DOF) than any of the individual source images. Meeting takes place at the Haven Arms, Havenside, Hedon HU12 8HH on Wednesday 13 June 2018 from 7pm. All welcome at our meetings (no membership required) whether you are a complete novice or a seasoned snapper! Hedon Viewfinders will interest photographers of all levels regardless of ability, image making device, kit or equipment. Novices particularly encouraged. Show us your work! Prints and Digital Images night. Bring your Prints and Digital Images (flash drive/memory sticks/DVD) to show us. This is a chance to talk about your photos if you wish. Also you may ask for constructive criticism from those present about your work and receive encouraging ideas on how you might improve – again, only if you wish. Open Theme (but you might want to include some from our trips, events, and meetings this year). If you wish to show us your work on the night it would be helpful to email us on viewfinders-ttl@gmx.co.uk to let us know how many prints/digital you intend to show. This will also guarantee your spot on the night. This is a chance to showcase the work of Viewfinders and we welcome members of the public to come along who have an interest in photography. 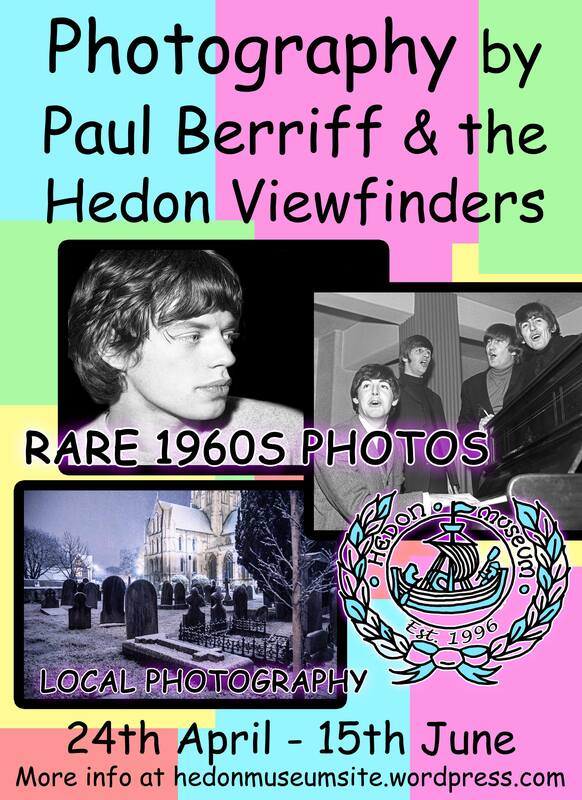 Hedon Viewfinders is the town’s free, fun and friendly photography club that is open to all (no membership required). All welcome! WED 30 MAY, 7pm HAVEN ARMS, HAVENSIDE, HEDON HU12 8HH. Sun 27 May – Hedon Photo Walk (hosting a tour around the town) meet 1pm at Haven Arms and return there at 3pm’ish. Good fun with photography friends £59. Thinking of going? Contact us and we’ll send you the link and tour guide reference.